FAIRBURN, Ga. — Fairburn police are searching for the suspect that sent them and several other law enforcement agencies on a bogus call. It is an occurrence called "swatting." 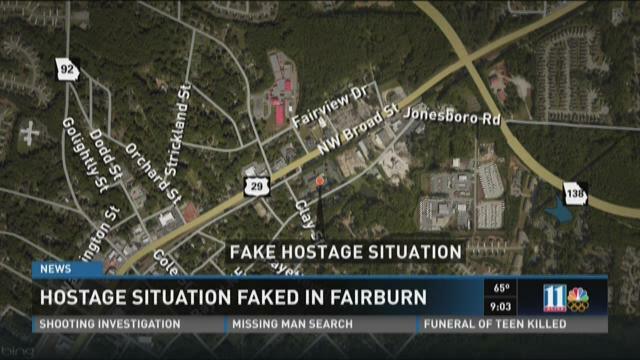 FAIRBURN, Ga. — A large portion of a Fairburn road was shut down for hours due to a false call alleging a hostage situation and shooting, Saturday night. Police first received information of a possible hostage situation at about 9:30 p.m. in the area of Clay Street. The investigation led to the area being cordoned off as police investigated the claim that a child had been shot. UNION CITY, Ga. -- The man who police said shot himself in the head at Walmart Wednesday afternoon has died. According to Union City Police, Dalmar Steven Johnson, age 20, succumbed to his head injuries and was pronounced deceased at Grady Memorial Hospital on January 6, 2016. When police entered the store, they say the suspect pulled out a gun and accidentally shot himself. Police say no other shots were fired. The self-inflicted gunshot wound was immediately life-threatening. UNION CITY, Ga. -- Union City police are "actively searching" for a suspect wanted in connection with the murder of a teen girl earlier in the week. Police released a statement late Wednesday that Muhammed Awad Hassan, 19, has a warrant for his arrest for party to the crime of murder. Hassan was allegedly involved in the death of Amira Cameron at the Oakley Shoals Apartments on Oct. 4. The news comes just hours before a candle light vigil scheduled for 7:30 p.m. Wednesday night to remember Cameron at 6295 Oakley Drive. Hassan is about 5 feet 10 inches tall and weighs about 160 pounds. He is a black male with black hair and brown eyes. UNION CITY, Ga. -- Concern is growing in Union City after the loss of two young lives to gunfire. City leaders and residents say its raises questions about how kids so young are involved with guns. According to police, the shootings are not related, just similar: two 15-year-olds who had friends in common. Benson West was accidentally shot and killed Monday night; Amira Cameron was murdered while gathered outside with friends on Sunday. FAIRBURN, Ga. -- A 42-year-old man was life-flighted to the hospital after falling about 30 feet from a mechanical ladder in Fairburn on Wednesday. According to Fairburn Police Sgt. Anthony Bazydlo, the man was doing work on a Food Depot sign when some sort of accident caused him to fall onto the concrete. He was taken to Atlanta Medical Center with head injuries and multiple broken bones, according to 11Alive's Valerie Hoff. Police said it's unclear what caused the accident. 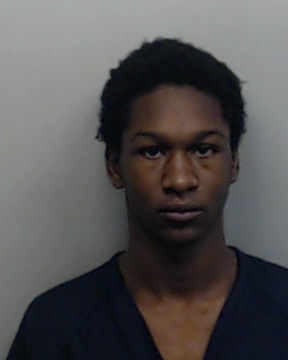 UNION CITY, Ga. -- Police have charged a 17-year-old man in the shooting death of a 15-year-old friend in Union City. The victim has been identified as Benson West, of College Park. The shooting happened Monday afternoon at the Landings at Oak Hill apartment complex, police said.